Wow, Hiroshi Fujiwara of Fragment fame has done it again! 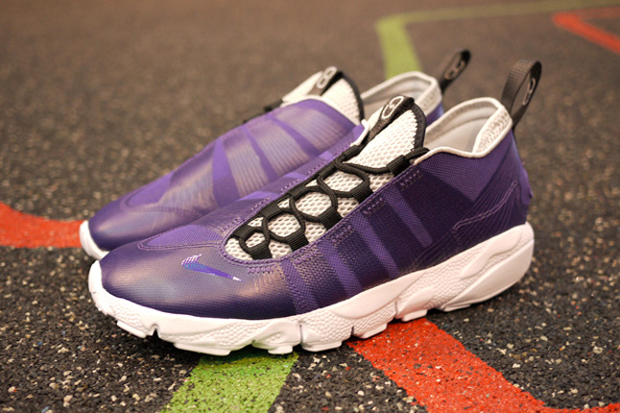 This time he’s put his hands to the Nike Footscape Motion with great success. 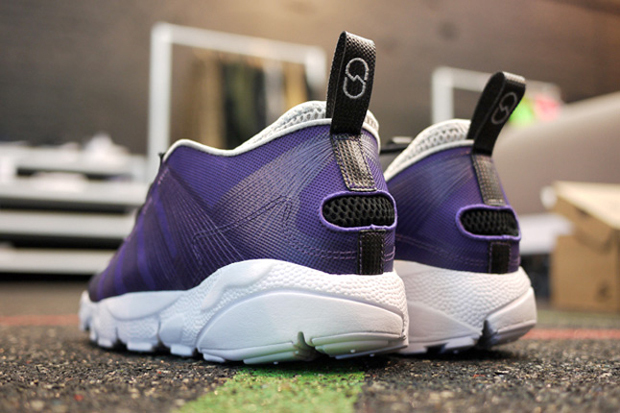 The Footscape Motion is one of those shoes that I would expect younger sneaker heads to be disgusted by, whilst the more matured sneaker fiend will start drooling on first sight. 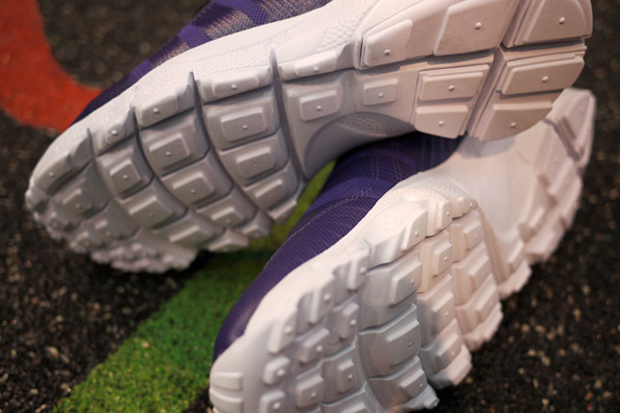 If you don’t get what I’m saying, just accept that that’s the way it is … techy running shoes have a big effect on sneaker heads. 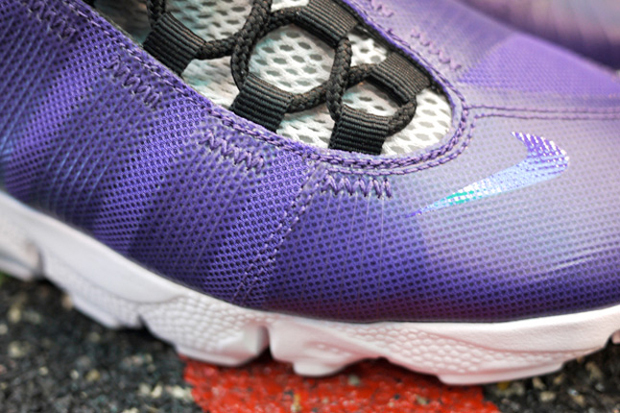 This shoe is no exception, packing a free sole, flywire technology and of course the infamous Footscape side-lacing. Allong with all of this, you get the Fragment Design branding on the tongue tab and heel tab. Nothing overly excessive, just exactly what’s needed. 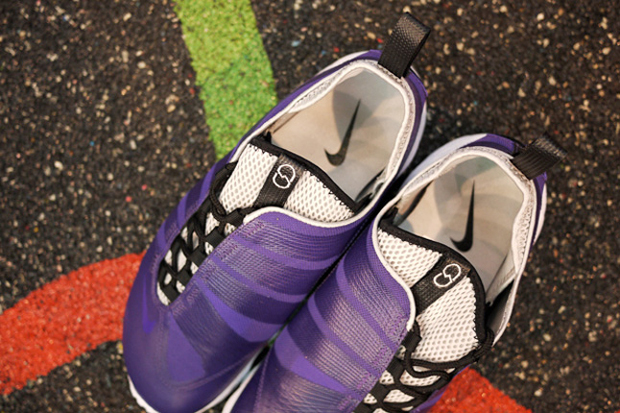 Available in Purple (as pictured) or Blue, these kicks won’t be around long and are very hard to find. Lucky for us UK peeps that they are currently sitting in 1948 then! If you want to cop a pair I suggest you don’t hang about. As if this shoe wasn’t good enough, these photos actually make them look even nicer, so props to Hypebeast there. Incredible photos. Hold on, are these for people with club foot? Remember kids, if its on Hypebeast then you dont look retarded. when did this drop what date??? girl bought me these for christmas .. ufo looking type sneakers .. and with the free soul and the fire wire .. cant wait to lace these up and hit the pavement ..